Every state has statutes regarding possession and use of a firearm, and Florida is no different. State gun laws cover everything from who can own one, where you can buy, types of illegal firearms, and enhancements for using a gun in the commission of a crime. There are also restrictions for juveniles and firearms, especially in the wake of school shootings across the US and at Marjory Stoneman Douglas High School in South Florida. If you were arrested for a gun crime or are the parent of a child who has been charged, here’s what you need to know about the law. The person is going to or from a marksmanship competition, practice, or other shooting activity authorized by law. For both of these exceptions, the gun must be unloaded and the minor must be at least 16 years old. However, a child under age 16 can be in possession of a firearm if he or she is supervised by a parent or authorized adult. Unlawful possession by a minor is a First-Degree Misdemeanor under Florida law, and a conviction could lead to a year in jail plus a maximum fine of $1,000. However, a first-time juvenile offender with no prior criminal record may be sentenced to detention and community service. Subsequent arrests carry harsher criminal sanctions, as the crime is a Third-Degree Felony. A minor may face up to five years’ incarceration and a fine up to $5,000. In addition, there are consequences for your driving privileges if you are convicted. The Florida Department of Highway Safety and Motor Vehicles may suspend for one year the license of a minor who already has one. For a juvenile who does not already have a license due to age, the DHSMV may issue a suspension for one year after the person would be eligible. Note that are additional gun possession laws that apply to juveniles at the federal level. It is a misdemeanor for anyone under age 18 to possess a gun or ammunition. 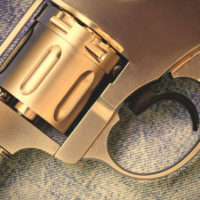 Plus, Florida’s laws regarding possession are entirely different from situations where a minor uses a gun in connection with a crime. The penalties can be serious and there are limited legal protections available through the juvenile justice process in Florida. For more information on Florida’s laws on firearm possession for minors, please contact the Fort Lauderdale offices of criminal defense attorney Kevin J. Kulik. We can answer your questions and advise you on your legal options after conducting a consultation regarding your circumstances.